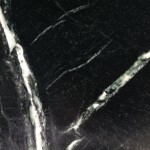 » A new soapstone! 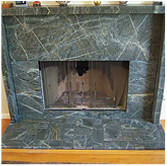 A New Soapstone! 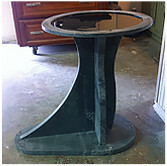 Soapstone Werks has a new soapstone! 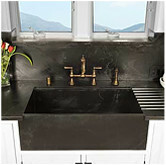 Soapstone Werks now carries Churchill Soapstone! 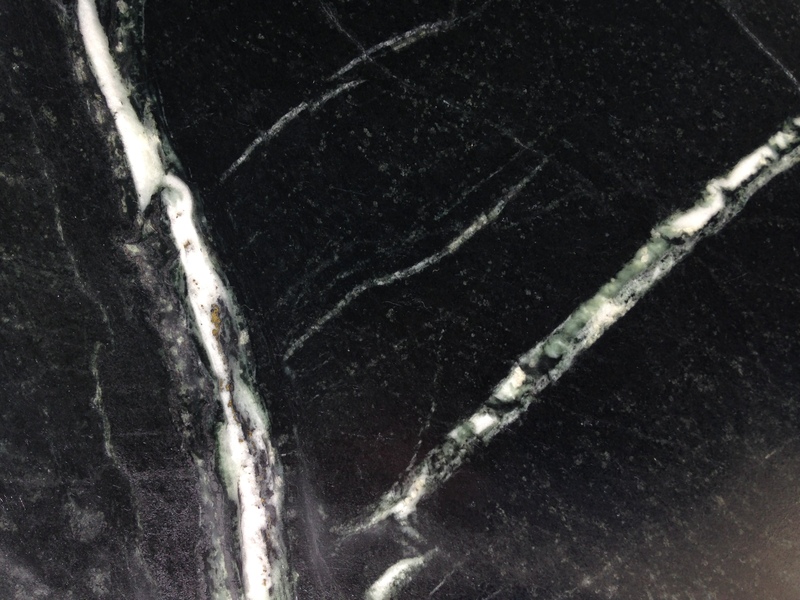 Churchill Soapstone is an American soapstone that we absolutely love to work with. 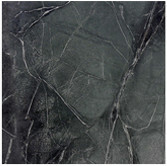 This soapstone has a dark black background with white veining throughout. 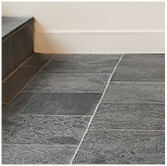 This is a very popular soapstone look that everyone loves! 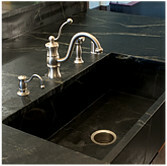 Come into Soapstone Werks today to check out our new soapstone. 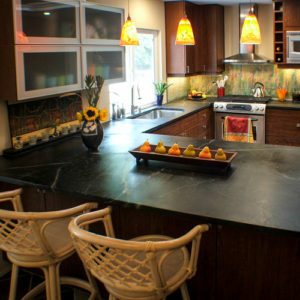 Soapstone is a great counter top material because of its properties. 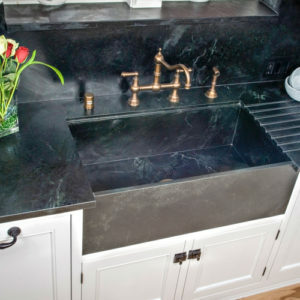 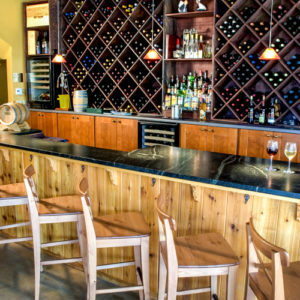 It is why soapstone has been used as a counter top material for hundreds of years. 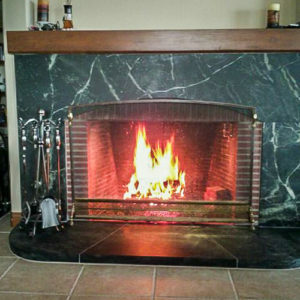 It has even been used in many science labs because it is chemically inert. 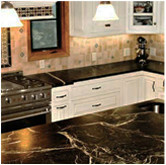 Soapstone is non-porous, cannot harbor bacteria, impervious to staining, and can handle a few thousand degrees of heat. 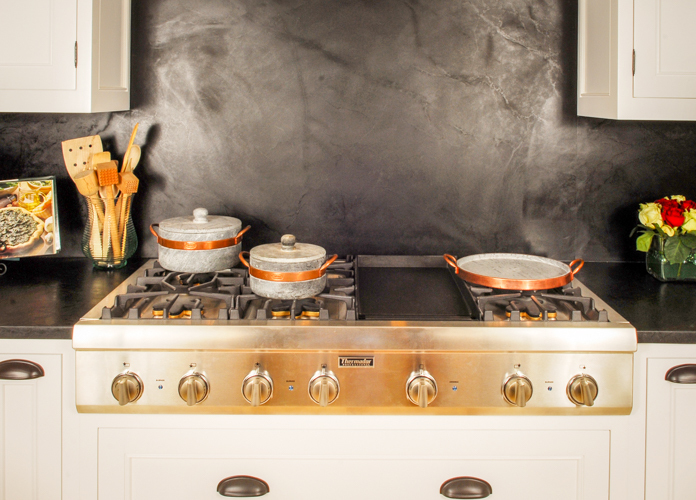 Because of the amount of heat soapstone can endure we can make cookware and fireplaces out of soapstone. 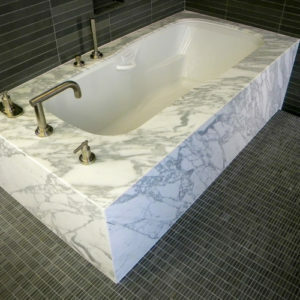 Soapstone can also keep cold for hours. 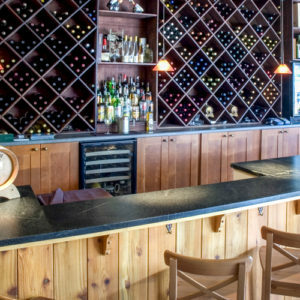 That is why many make soapstone whiskey stones and cheese plates. 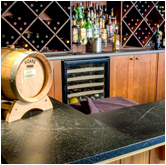 Soapstone is a very versatile material that makes the ultimate counter top material!